(MoneyWatch) We can no longer afford to keep our heads in the sand and think that the problem of uninsured Americans isn't worth solving. Thirty-two of thirty-three developed nations have universal health care coverage; the United States is the lone exception. That puts us behind the much-maligned Greece and Cyprus, along with Iceland, Slovenia, and many other countries with resources far fewer than ours. How vulnerable are you to health care catastrophe? I believe that it's the sign of a civilized and advanced society that every citizen receive some form of basic health care. Those who can afford to pay should be able to buy additional or more comprehensive coverage. While you can debate the merits of the Affordable Care Act, at least it attempts to deliver universal, basic care to all of our citizens, including the most vulnerable, while allowing flexibility for employers and individuals to buy more comprehensive care. Obamacare also allows people to retire before age 65, the eligibility age for Medicare, for those people who chose to retire early or are forced out of the workforce prematurely. Most employers don't offer retiree medical coverage, which is essential if you want to avoid a medical care catastrophe. But if you're not convinced by these arguments, here's a story that might appeal to your self-interest. As I wrote about previously, my wife recently went to an emergency room for an unforeseen medical condition. At the suggestion of one of our doctors, we went to a local county hospital that had a trauma unit. As a result, we experienced the best and worst aspects of our country's health care system. The best aspect is that dedicated doctors and nurses used the latest in medical technology and expertise to save my wife's life and leg. One of the worst aspects was that the emergency room of this hospital was clogged with uninsured patients who came in with nonemergency conditions because they had nowhere else to go. These people looked like a cross-section of society -- some looked down and out, some were families with small children, and others were self-employed individuals or their employer didn't provide medical insurance. 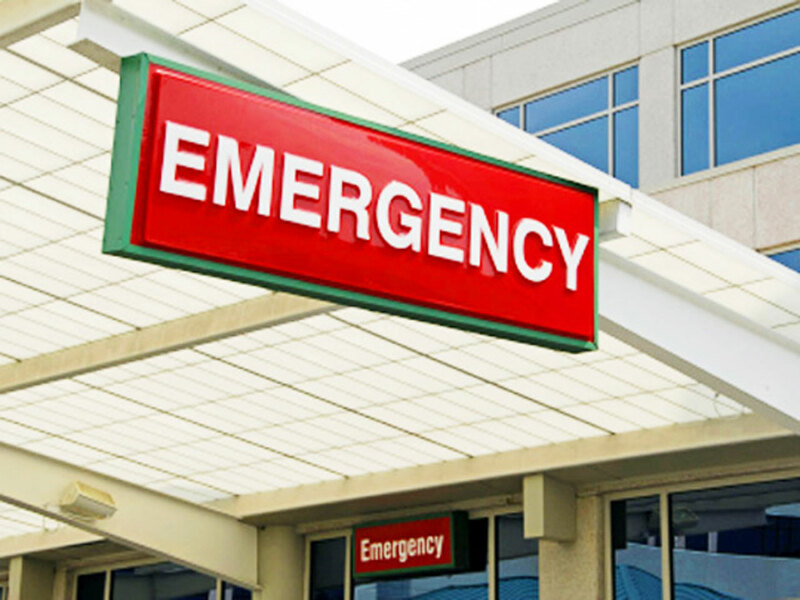 The clogged emergency room delayed my wife receiving critical and timely medical attention; given her condition, this delay could have negatively impacted her outcome. Our experience shows that even for people who have medical insurance, their care can be hampered by the uninsured problem. So if you need reasons of self-interest to care about the uninsured problem, our experience should give you one good reason to care. Some people argue that covering the uninsured will cause medical costs to increase significantly. I'm not convinced by that argument. About 15 percent of Americans are currently uninsured. Most industries in America could easily absorb a demand increase of 15 percent, and the medical industry is no exception. In fact, many of the uninsured are currently being served very inefficiently. For one thing, they're not receiving basic and preventative care for chronic conditions such as heart disease or diabetes. Left untreated, their conditions worsen, requiring more expensive interventions later. And as noted above, if they go to an emergency room for nonemergency conditions, they're being treated in an expensive manner. So it's hard to believe that medical costs would skyrocket as a result of covering the uninsured in a more efficient and effective manner. Obamacare attempts to deliver universal coverage, with incentives to improve the efficiency of medical providers and the health of our citizens. These are all very desirable goals. Some states are complying with the law and will implement the medical insurance exchanges by 2014. Other states are resisting setting up these exchanges, in the process denying their uninsured citizens the ability to obtain critical medical insurance. I fully support the Obamacare provisions that become effective in 2014. Yes, the law has flaws that need to be corrected, but let's work on fixing these flaws rather than resisting implementation or trying to scrap the law altogether. For those who want to abolish Obamacare, I can't support any such initiative unless it's simultaneously accompanied by comprehensive, replacement legislation with the same goals of universal coverage, improvement in our collective health, increased efficiency in the delivery of medical services, and the provision of fair rewards for the dedicated and highly skilled doctors, nurses, and medical professionals who continue to save our lives. Don't just complain and resist. Propose a realistic, better idea that accomplishes these same goals.